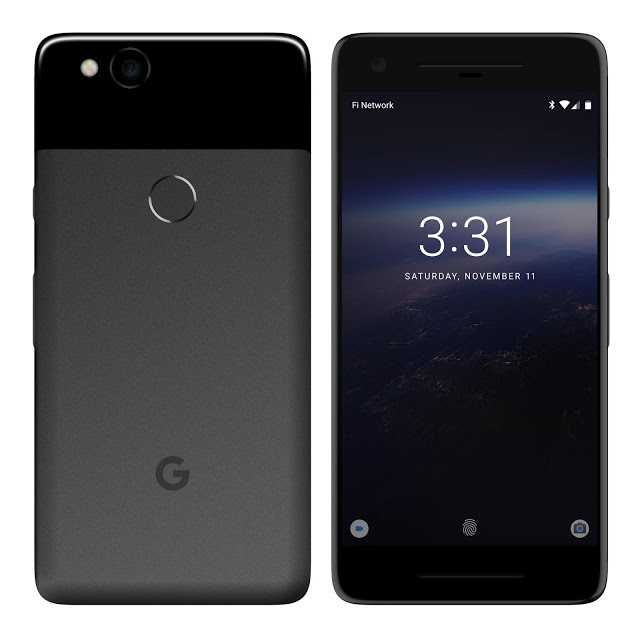 We have been talking about Google’s next Pixel devices the Pixel 2 and the Pixel 2 XL quite a sometimes now and there have been a number of leaks and rumors regarding its launch date, specifications, and design but today we finally got to see the leaked Pixel 2 and the Pixel 2 XL specifications via AndroidAuthority. Pixel 2 and the Pixel 2 XL will be launched on October 4. According to newly leaked specifications, Google Pixel 2 will feature FHD display with Gorilla Glass 5 protection. The screen size is not known as of now. The Pixel 2 will be powered by Qualcomm’s Snapdragon 835 processor, as expected, with either 64 GB or 128 GB of internal storage. RAM capacity also unknown. It will be running Android Oreo. As for as the design is a concern, the Pixel 2 will follow the same design from last year Pixel device. The 3.5mm headphone jack will also be missing from Pixel 2 this time, which was there last time. On the camera front, The phone will sport single camera on the rear with OIS & Google Imaging Chip. Both devices will be IP67 certified water and dust resistant. Pixel 2 will pack a smaller 2700mAh battery compared to the 3500mAh battery on the Pixel 2 XL. The Pixel 2 XL features the same specifications except its QHD curved display and a larger 3500mAh battery. Both devices will come with E-SIM card slot that will allow users to use different networks without having to replace their SIM card. 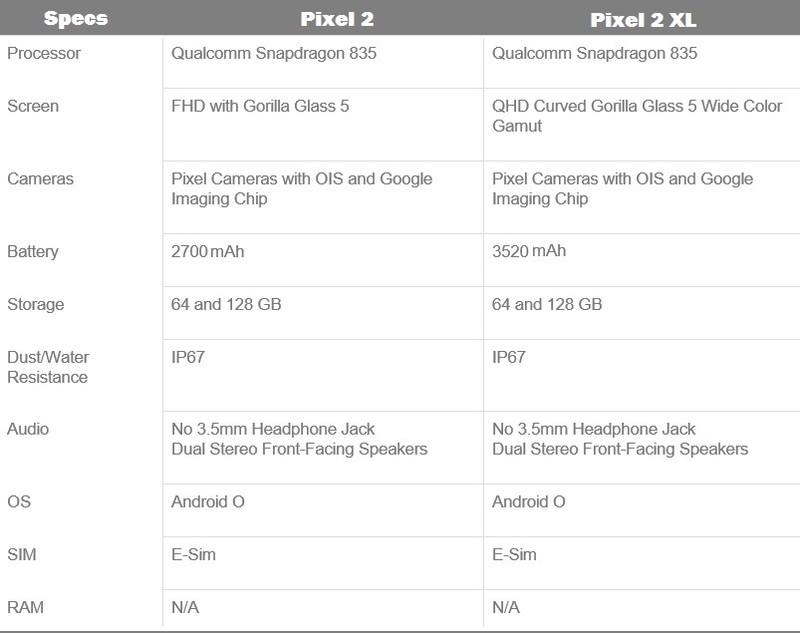 What do you think about these specs of the Pixel 2 and the Pixel 2 XL? would you consider buying any of these two devices with these specs? Let me know in the comments down below.